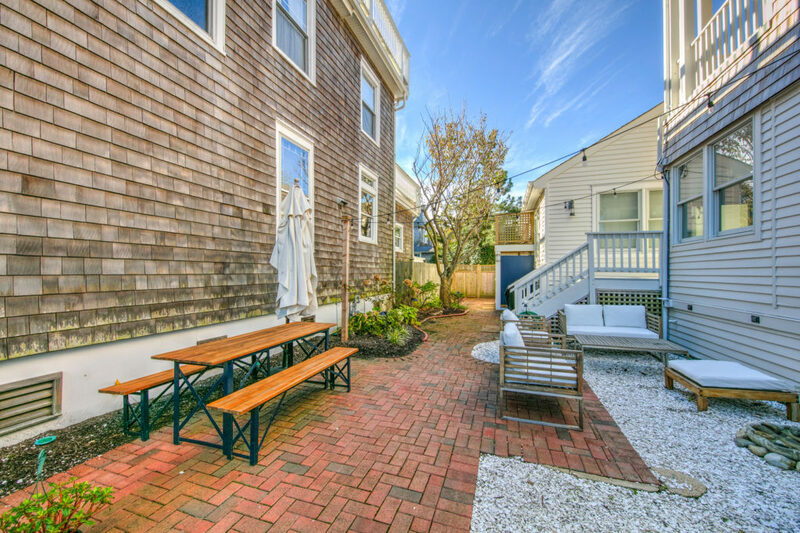 This exquisitely restored - Sunday-to-Sunday rental is located in Beach Haven’s lovely Historic District directly on Veteran's Park, steps to the beach and minutes from all restaurants and shops, Rosalind House is inspired by Scandinavian Coastal design that marries the best of old and new. Contemporary sofas complement hand-painted antique white wood furniture. 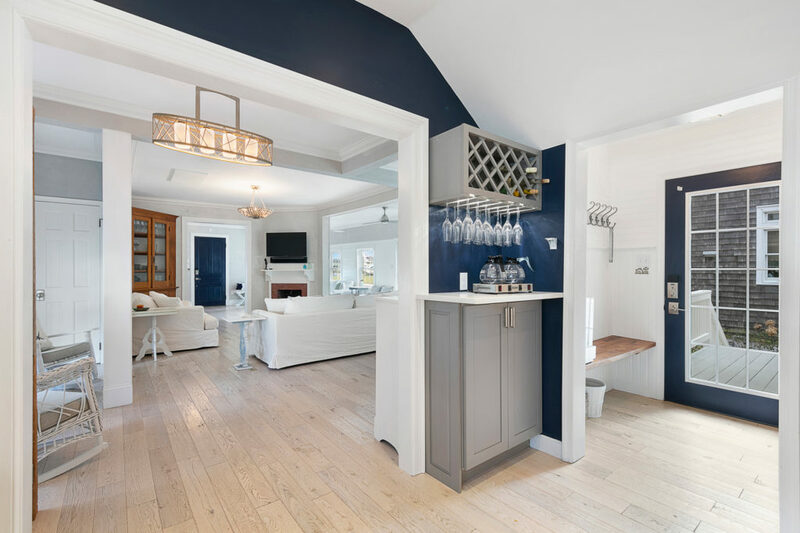 The feel is crisp, cool and sophisticated all the while being a quintessentially beachy cottage. It is the perfect wedding destination for small weddings in Beach Haven. 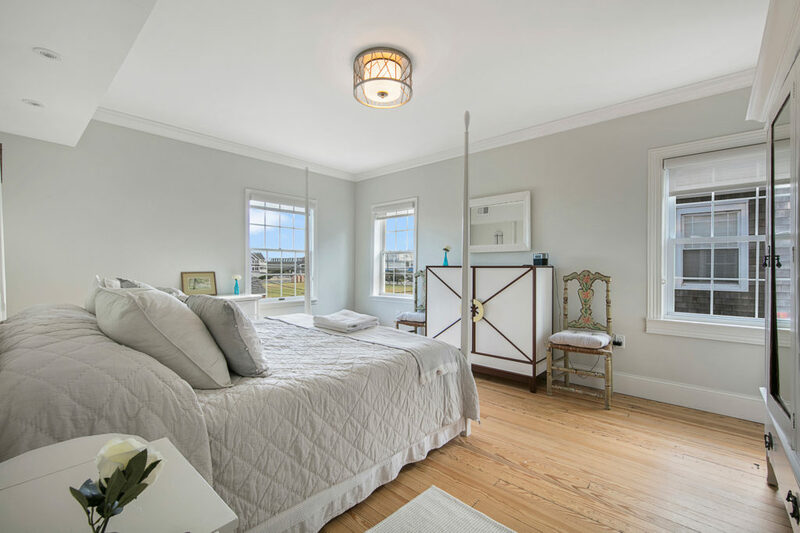 The owner has a recently remodeled Victorian-style sister property around the corner that sleeps 10 and brings the total capacity to 25. Package deals including both properties, event space, and a wedding planner are available upon request. 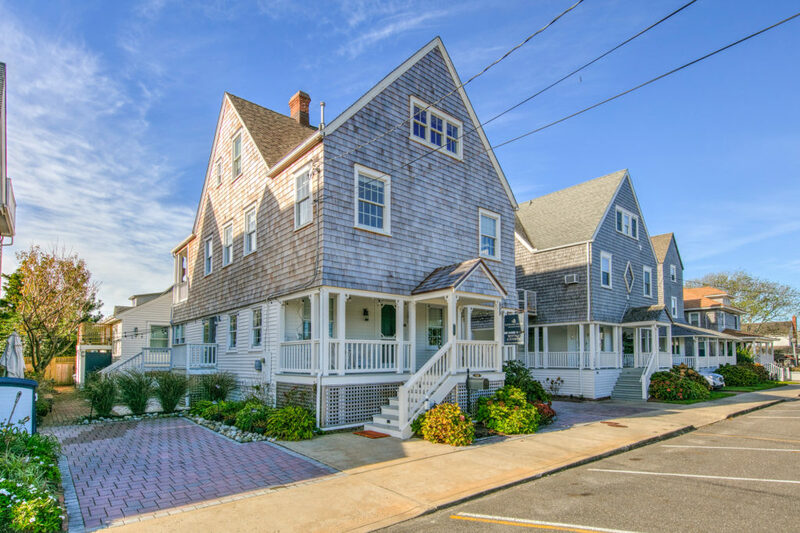 Rosalind House enjoys vast views of the historic district and the ocean from the upper floors across Veteran’s Park. It is located next door to the Victoria Guest House B&B. The three properties can be rented concurrently (individual reservations) to accommodate larger wedding parties and guests. 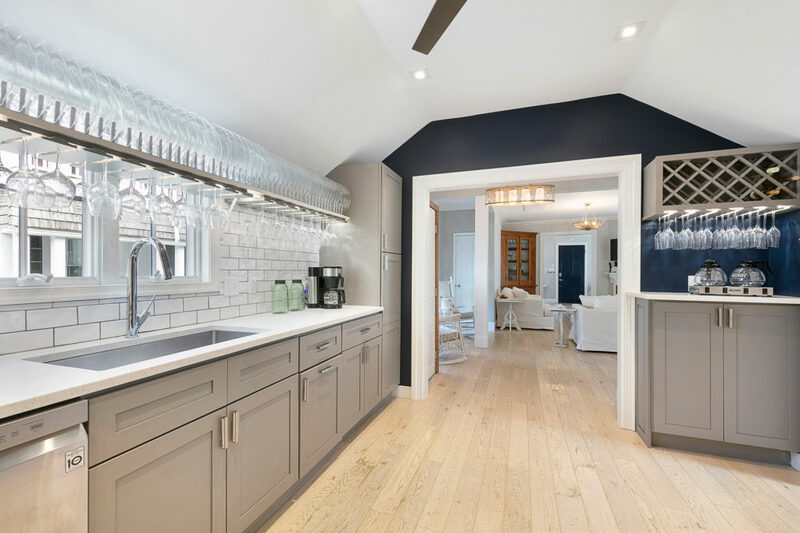 Custom furnished by a local designer, Rosalind House was remodeled to include open spaces that are festooned with porches on the East and North faces of the house. A lovely brick patio features outdoor dining and an open-sky “living room” adjacent to a large-capacity gas grill. This ultimate wedding cottage is rented on a weekly basis in high season and a three-night minimum in the off-season. 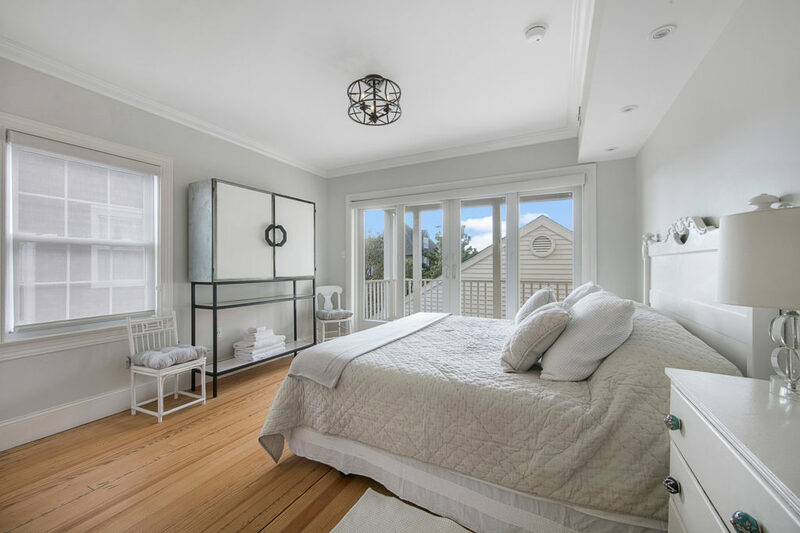 The six-bedroom beach house is tastefully designed and appointed in keeping with the period of its neighboring Shakespeare Cottages*. 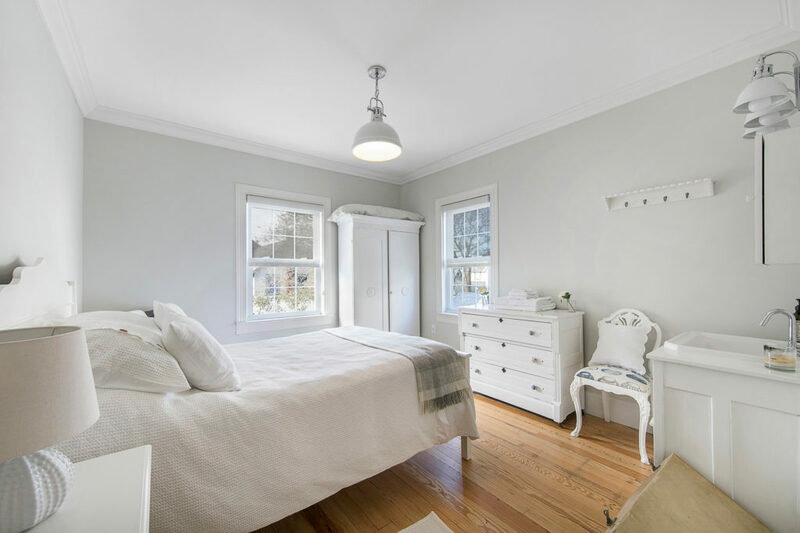 Rosalind House’s style marries traditional and contemporary in a cool open plan that accommodates an extended family sharing in six spacious bedrooms on three floors. 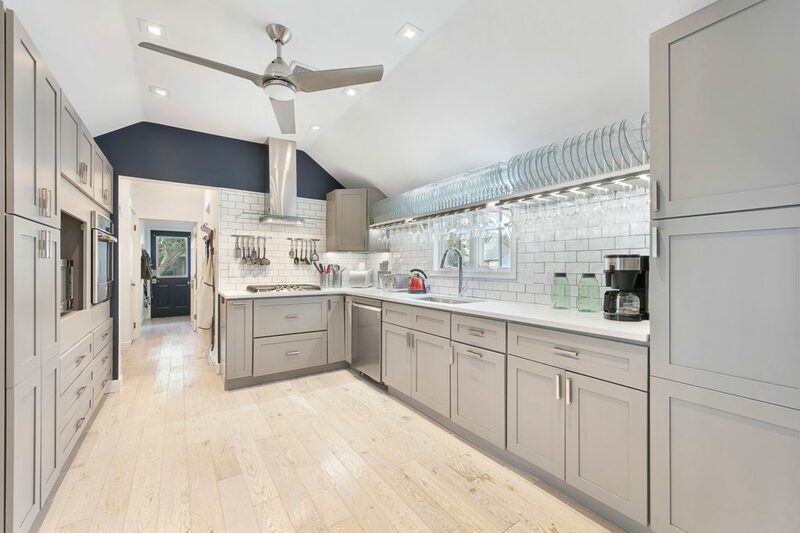 Four contemporary fully tiled baths, a powder room, a bathhouse featuring a rain-head shower and changing room, an open-plan kitchen, laundry room, mudroom, and brick patio-garden complete this old-style beach house custom designed for the most discerning of beachcombers. Old world plaster-coated and plank-wood walls, tiled kitchen and bathrooms, original wood plank and white-washed, wood scraped oak floors, quartz counters, modern stainless-steel appliances, contemporary light fixtures, and a dining room seating 12 combine to make this truly a one of a kind designer-built gem. 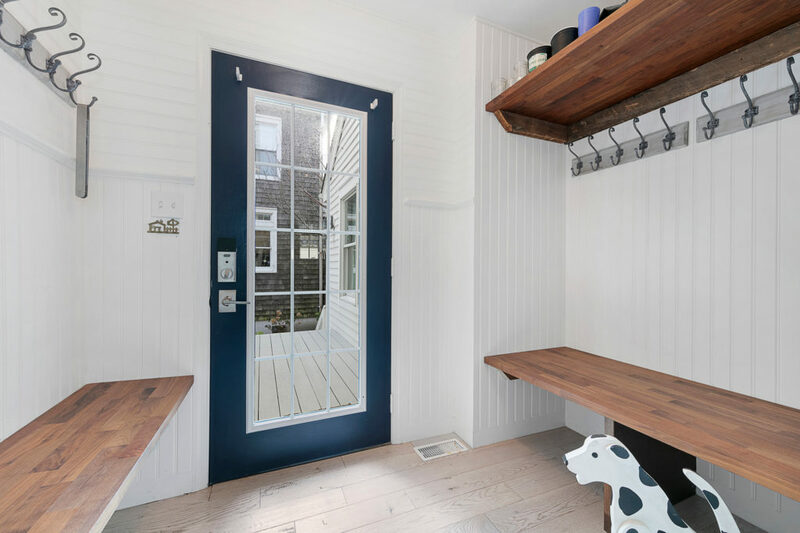 It has a full front porch, all new baths, antique furnishings and modern appointments hand-picked by the designer. Vintage restored original furniture pieces were collected from antique dealers in Maine, Hudson, New York and Provence, France. 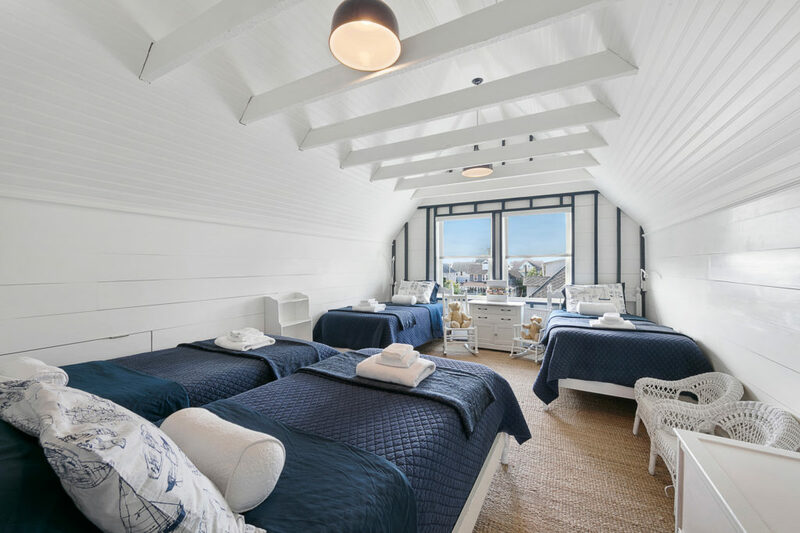 The best of old and new typifies this stormproof beauty that is the perfect beach home for year-around weddings or family reunions and those hoping to make memories with visiting extended family or friends. Please note that the owners live periodically on the property in an apartment with their non-shedding, hypo-allergenic dogs. Individuals with strong allergies are best advised to look for alternative rentals. Call Mike Kelly or Bonnie Wells at (609) 492-4444.